Press release - Conservative economist and close Reagan advisor Arthur Laffer today endorsed Diane Black for Governor and will serve as Economic Advisor to Diane Black for Governor. Dr. Laffer was a personal economic advisor to both President Reagan and Prime Minister Thatcher, serving on the President’s Economic Policy Advisory Board for both of President Reagan’s two terms in office. 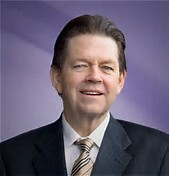 Laffer is the founder and chairman of Laffer Associates, an institutional economic research and Ph.D. in economics from Stanford University in 1965 and 1972, respectively. He has served on the faculty of the University of Chicago, University of Southern California and Pepperdine University.consulting firm in Nashville. One of his earliest successes in shaping public policy was his involvement in California’s Proposition 13, the groundbreaking initiative that drastically cut property taxes in California in 1978. Dr. Laffer received a B.A. in economics from Yale University in 1963. He received a MBA and a Ph.D. in economics from Stanford University in 1965 and 1972, respectively. He has served on the faculty of the University of Chicago, University of Southern California and Pepperdine University.